Gardening is the one hobby where you truly get to enjoy the fruit of your labor. However, the labor involved is hard work and can be time intensive, depending upon the size of your garden, types of plants growing, and the climate and weather conditions where you live. One way to reduce some of that work and to eliminate the unpredictability of weather conditions entirely, is to take your garden inside and grow vegetables indoors. Greenhouses, of course, have been around for centuries, and the concept of growing plants indoors dates back to the first century of the Roman Empire. Today, almost anyone can do it. Even if you do not have a large glass building on your property, you can grow vegetables indoors, in your own house. 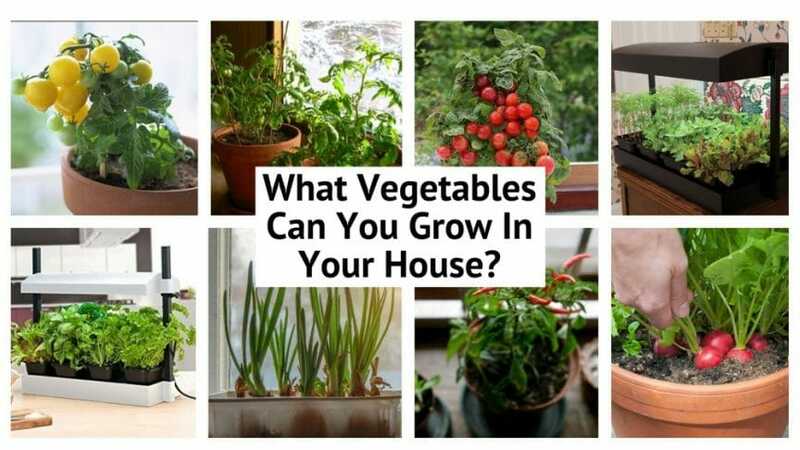 What Kind Of Vegetables Can You Grow In Your House? What Do I Need To Get Started To Grow Vegetables Indoors? The four most important elements to ensure that plants grow are moisture, temperature, light, and ventilation. It is no different when gardening indoors, but there are some advantages and disadvantages that come with gardening inside. It all starts with seeds. If growing vegetables outdoors, you can start most vegetable seeds 6 to 8 weeks before the last frost date in your area. If you choose to grow vegetables indoors, you can plant your seeds at any time of year. As you begin, make sure you have your containers in an area that is protected from water leaks. First, fill your containers with seed-starting soil. Water the soil until it becomes dark-colored and the bottom begins to leak. Read your seed packets to find out how deep to plant the seeds. Unless stated otherwise, only use two to four seeds per container and then be sure to cover them with only a small amount of soil. Water the seeds again and cover them with clear plastic to keep in the moisture and heat. Then, move your seeds to a well-lit place. You may have a window that gets lots of sunlight, or you can use an artificial light source if natural light options are not available to you. When you see your seeds first sprouting, remove the plastic covering so they can get plenty of air. Remember, seeds primarily need water and heat to begin the growing process. Once leaves are formed, they need good air circulation to continue growth. You may want to put a fan nearby to provide good air circulation. If they do not get good air circulation, they will become too damp and will become susceptible to a plant disease called damping off. Where In My House Will Vegetables Grow Best? Indoor gardens can be as large or small as you desire. 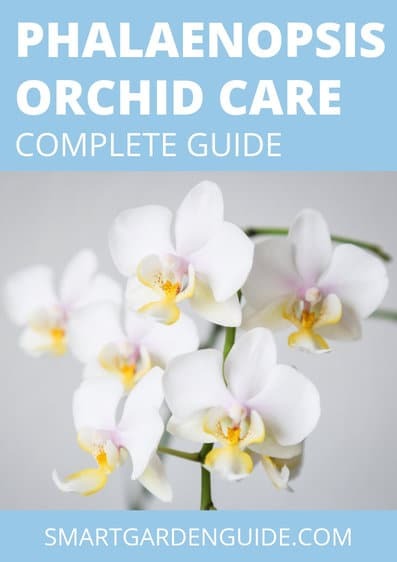 As opposed to outdoor gardening, where most of the plants are all in the same general area, indoor plants can be scattered around different parts of the house. Many plants, especially smaller ones, can be grown on a windowsill or on a table. Larger plants, or groups of plants, may require a table or bench specifically for them. For these, you will probably want an area with a waterproof tile or linoleum floor to catch the inevitable drops of water. You could also consider placing a tarp under your gardening table. Another option is setting up plants on shelves. Shelves provide plenty of planting room and take up considerably less space. However, if you choose to use shelves, be sure that every plant is able to get adequate light. Shelf gardens may require a separate grow light to cover each shelf. Will They Need Direct Sunlight? Direct sunlight is incredibly helpful if you want to grow vegetables indoors, but it is important to realize that even plants grown near a window will not get enough light during the winter months to grow well. Most vegetables need 14-16 hours of sunlight or simulated sunlight to grow well. Without enough light, plants grow tall and frail. Even if they have enough energy for their leaves to grow, they may be unable to expand fully. Without the full growth of leaves, they cannot bear flowers or fruit. If your plants have thin leaves and begin to look frail, this is a sign that they are not receiving enough sunlight and either need to be moved closer to more direct sunlight or assisted by a special grow light. The light from the sun may look the same as any other light to us, but plants only absorb specific wavelengths of the light for their use. That means that normal electric bulbs will not work. You will have to use a special grow light to simulate sunlight for them. Can I Grow Vegetables Indoors All Year Round? Yes, you can! Although some vegetables are hardier and more suited to year-round growing seasons than others. Many root vegetables can be started from seed or by using what is sometimes called “the toothpick method.” Using a couple of toothpicks, suspend a cutting of a vegetable “stem and stump” just above and dipping into a shallow glass of water until the roots regrow. The stem needs to be above the water. Once the roots begin to regrow, move it to a deeper pot with loose, rich soil. If you keep switching up vegetable varieties, you can keep a steady supply of these nutritious vegetables on hand.You can get heirloom types of each vegetable available in a variety of shapes, colors, and textures. You can also grow Salad greens and many herbs all year long. Since these are mostly leaf vegetables, they will naturally replenish themselves if you make sure not to harvest them too much. An easy example of this is Living Lettuce. Should I Get A Grow Light? It is quite likely that your plant will not get enough sunlight indoors, especially if you are growing them during the winter months. The issue is usually not that the nearby window is too small and not letting enough light in. It has more to do with the amount of time they are receiving sunlight. During the summer months, there is often 16-18 hours of sunlight, while in the winter it can dwindle to under 12 hours. That is equivalent to cutting out a third of the calories in your diet. It makes your plants undernourished and unable to produce healthy food. You can tell when your plant isn’t getting enough light, because it will have small leaves, frail stems, and the color of the plant will be paler than usual. Your plant will look anemic. Plants have a special hormone called “florigen” which controls budding and flowering. Without the right amount of light to produce just the right amount of florigen, your plant cannot flower and reproduce. This is important for all plants, but especially vegetables you eat the “fruit” of, such as tomatoes, cucumbers, squash, and any other vegetable that contains seeds. These vegetables will not thrive outside of their season without a grow light. Here are some other important things to be aware of if you are in the market for a good grow light To grow vegetables indoors. Indoor gardeners, especially in tight, urban settings must count the cost of their plants in available space. Grow lights require certain amounts of space to set up and to use, so you must bear this in mind when planning you indoor garden. Different types of grow light require different amounts of space in between the bulbs and fixture and the plants. If your plants are too close to the lighting, they will at the very least have lower yield and may even get burned by the heat of the light. If you are efficient with the space you have, you may be able to create multiple layers of plant beds and grow lights. You can find out more about grow light distances here. High-Pressure Sodium or Metal Halide lights will generate a lot of heat, and you need to use them with fans or other tools to ensure proper ventilation. Fluorescent lights will generate less heat than other grow lights, but they still have noticeable heat output. LED lights generate very little heat. You will notice very little temperature difference using LED grow lights. While it may appear that LED lights are the best option, it is important to remember that your plants need a certain amount of heat to grow. During winter months especially, the additional heat from the lights may be needed to keep them from going into hibernation or from refusing to start growing at all. The light of grow lights has 3 main factors for you to consider. Intensity or brightness of the light is measured in lumens. This measurement is designed more for human perception rather than plant needs. The measurement your plant needs is watts (W), and usually the higher the watts, the better it is for the plants. It also is the chief indicator of price as well, so the higher the watts, the higher the cost. Color is important to your plants. Some color spectra are better for your growing plants than others. “Red” and “Blue” light spectra are the best for plant growth. Red is helpful during the flowering stage of your plant growth. Blue lights are better during the vegetative stage. LED lighting has highly customizable wavelength capabilities you can take advantage of without changing light fixtures. Advanced gardeners can use this ability to custom-tailor the light regiment for their plants to create unique qualities in flavor, texture, or even plant color. Day-length or Rated Life is the last important specification to consider. This just indicates how long the bulb will last before it needs to be replaced, based upon how many hours per day you expect to use it. Some lights have warranties, and it is usually a good estimate to expect the light to work without problems for half of its life rating. Amazon.com has over 57,000 results on for the search term “grow lights.” The quality of these options is all over the map. The problem is that many lights do not actually have the wattage with which they are advertised. Since wattage is the primary factor you need for your plants, you could be wasting money on an inferior product without knowing any better. As a general rule, watch out for foreign-made lights that may have less quality inspection. Trusted brands (which often mean more expensive products) are usually more consistent in producing quality products. This video has some good advice on choosing your grow light type. Different grow lights have different safety risks. You need to check how fragile the light bulb is and what kind of materials are present in the light itself. In both cases, LEDs have a clear advantage. If your household has pets or children that might disturb the lights, LEDs will be safer. They are much less likely to break if they get knocked down or jostled, because of the small size of their diodes and their solid state technology. Fluorescent tubes and HPS lighting, on the other hand, are very fragile and will shatter or even explode if knocked over with enough force. Also, the element mercury is present in fluorescent lighting, but not in the majority of available LED systems. Chemicals like this are a safety hazard to be aware of if you have children, pets, or anyone walking through your growing area. Don’t forget that HPS, Metal Halide, and even Fluorescent bulbs give off a lot of heat. If you do not take precautions in dealing with this extra heat, your plants will suffer, and you may create a fire hazard. See this guide for more tips on buying a grow light.